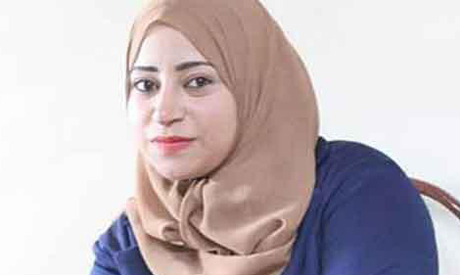 A 22-year-old journalist from El-Dostour newspaper, Mayada Ashraf, was reported dead while she was covering the clashes between supporters of the ousted president Mohamed Morsi and police in Ain Shams in east Cairo on Friday. The paper's editor-in-chief and the head of the journalist's syndicate demanded the government open an investigation into the death of Ashraf. Morsi supporters protested in different areas around the country on Friday to oppose former Field Marshal Abdel Fattah El-Sisi`s decision to run in the upcoming presidential elections with police clashing with demonstrators in a number of places. The ministry of interior reported four deaths, including Ashraf, during the intense confrontations in Ain Shams and ten injured. Al-Dostour editors had earlier sent a plea on the paper's website to Egypt's health ministry to send ambulances to transport Ashraf's body out of Ain Shams where the corpse is being watched over by residents in the Al-Quds mosque in the area that is still witnessing heavy clashes. What a shame! This Sisi and his goons will pay a heavy price for all the blood of innocents.He is worse than the previous dictator. Let there be some more Salah eldin's, some more Hasan elBanna's to clean these murderers. Do you mean the same terrorists who massacred more than 2500 innocent civilians at Rabaa and counting?Alas! I don't see light at the end of the tunnel for Egypt.Rather it's crystal clear to us we are heading to another 30 yrs of military dictatorship. This blood is very expensive for every egyptian .sisi and fake govtcan not pay. The Sissi thugs have tons of innocent blood on their hands. She is a hero felt down in line of duty. Freedom of press is important and terrorists do not like it for exposing their evil doing.